Daily Debate: Are “Special Editions” Worth It? Nintendo, in my eyes, is notorious for creating Special Editions, Limited Editions, Collector’s Editions, Master Editions, and pretty much any other name under the sun that will help them sell their product. I have seen this particularly in The Legend of Zelda franchise with its games and merchandise, particularly with Breath of the Wild. This game had two of the aforementioned Editions, as well as an Explorer’s Edition, a limited edition first print for the complete soundtrack, a couple fancy Piggyback guides and about a thousand promotional knickknacks and a cool headset. 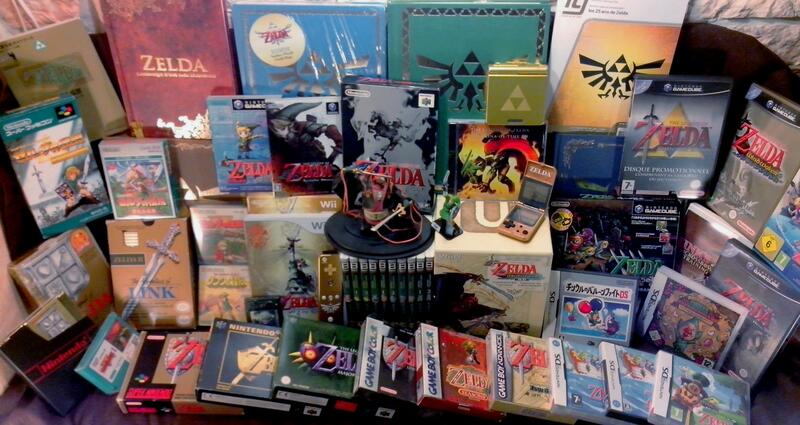 Breath of the Wild of course is not the first Zelda title to get multiple releases, just look at the Ocarina of Time Collector’s Edition, the Twilight Princess HD Special Edition and Hyrule Warriors Legends Limited Edition. At the end of the day, these various editions all end up being the same game to play, and it’s more about the extra stuff you get to play with. Personally, I’m a sucker for any sort of “Look At Me” Edition, and I will spring for it nine times out of ten, but it’s beginning to get a little ridiculous in terms of price value and sheer size of the box it comes in! Seriously, there’s barely any space left in my room after Breath of the Wild Master Edition hit the shelves. I think that the “Special Edition” fad is starting to get out of hand and I don’t know if I’ll be able to keep up anymore. So what are your thoughts? Do you think all of these editions are too much? Are you planning on keeping up with all the cool merchandise? Let us know in the comments! Matt Pederberg is an Original Content editor at Zelda Dungeon. He lives in a dry, bare, sandy hole with nothing in it to sit down on or use a social media. He one day hopes to have his own YouTube channel… A man can dream.